A pair of beautiful long dangle earrings. 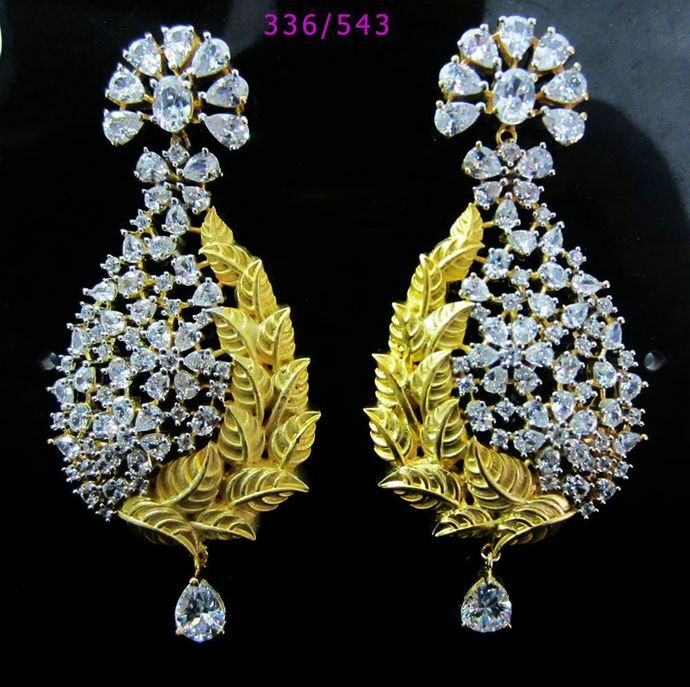 The earrings have clusters of cubic zirconia stones on the top and side of the earring, with lovely gold leaf shapes on the other side. This design makes the very unusual.